KATHMANDU, Feb 11: Pushpa Kamal Dahal on Monday said that the government was striving to amend the constitution so as to address the concerns of the Madhesi people and claimed that he was taking the lead for the same. Dahal, who led the identity movement until the signing of the 16-point agreement in June 2015, a historic document that laid the foundation for the promulgation of the new constitution, said the constitution will be revised in line with the commitments made to the Madhesi people in the past. “I stood for the rights of the Madhesi people then, and I still stand for the same,” claimed Dahal, adding that the government is working to revise the constitution as per a three-point agreement he had signed with Prime Minister KP Oli and Federal Socialist Forum Nepal Chairman Upendra Yadav. He also claimed that the bill on citizenship would address all the problems that the Madhesi people have been facing while acquiring citizenship. We would be more than happy if he actually takes the lead for amendment. But we shouldn't forget that he has broken many such promises in the past. “The children of those born in Nepal would have no problem acquiring citizenship. 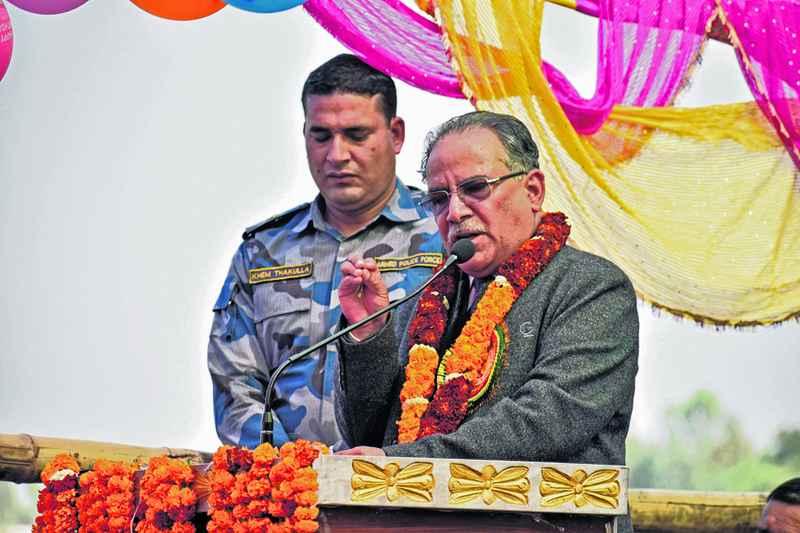 This problem will end forever once the bill is endorsed,” Dahal told a gathering of party leaders in Manahaur, Siraha. Dahal's fresh promise on amendment has been seen as an effort to mend ties with Madhesi voters, many of whom are still unhappy with his role during the constitution drafting process. Until 2015, Dahal was leading a coalition of Madhesi, Janajati and Tharu and pushing forward agenda of identity-based federalism. He, however, took a U-turn and shook hands with the Nepali Congress and the then CPN-UML to sign a 16-point agreement. FSFN Chairman Yadav had described Dahal's departure as a betrayal to identity politics. “Dahal's reversal has bought identity movement to square one. It's something that cannot be forgotten,” Yadav had told media after the signing of the 16-point accord. After Dahal changed the camp, Yadav had forged an alliance of Madhesi and Janajati parties and protested against some provisions of the constitution which they claimed discriminated against them. When major parties pushed through the constitution, the Yadav-led alliance had taken to the street demanding changes in the constitution. 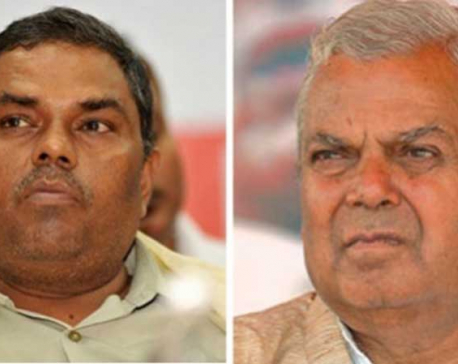 Madhesi and Tharu leaders are highly skeptical about Dahal's sincerity in addressing the demands of Madhesi parties. “We would be more than happy if he actually takes the lead for amendment. But we shouldn't forget that he has broken many such promises in the past,” said Rastriya Janata Party Nepal Chairman Rajendra Mahato, adding that he was still skeptical about the possibility of amendment in near future.